If you’re looking for a vintage P-bass sound but need / want that low B, look no further. 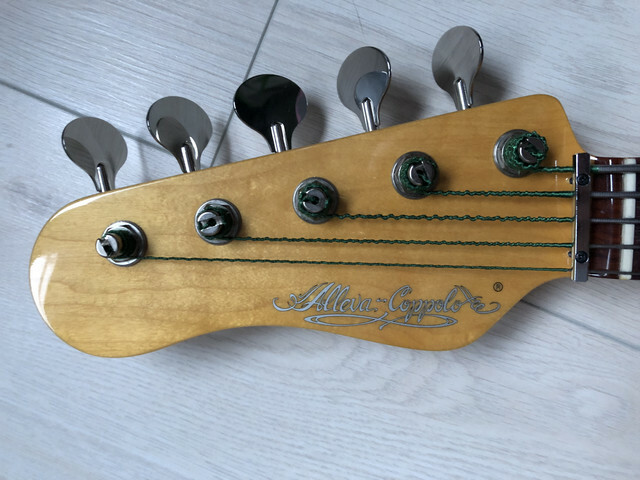 As you know, Alleva-Coppolo is known for nailing that vintage sound and this is no exception. Furthermore, it’s in absolute mint condition and comes with a very sturdy flightcase. A gig-bag is an option too if you prefer that. Asking $4800 / 4300 EUR. Worldwide shipping is possible. It's still here. It has been untouched since I posted the ad. Delivery was late 2017, although ordered somewhere in 2013, but the wait list was (and probably is) very long. Barely played (less than 3 hours in total I think). This is for the player looking for an A-C, but doesn't want to wait 3+ years. I'm still trying to get my head around the whole "I ordered it, waited 4+ years for it, played it for less than 3 hours, and it has sat untouched for months" thing. Are you injured? 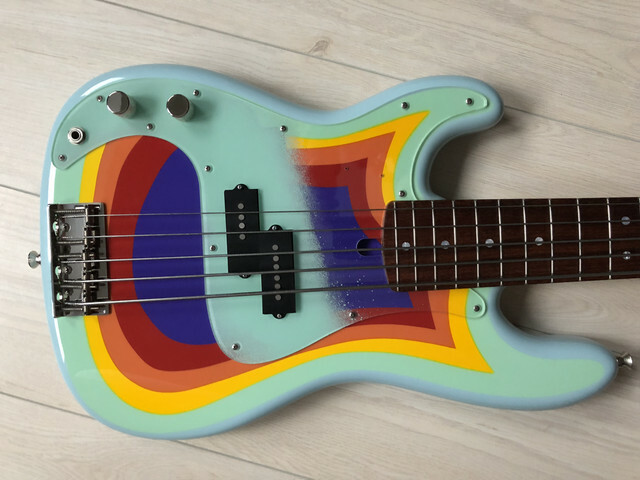 Is the bass that awful to play? This story isn't computing--I must be missing something! I wasn't planning on using the reason, but it's fair that you wonder why: one of my family members got some bad news last year. Medical bills are piling up slowly yet steadily and I'm selling some of my stuff (I'm sure some of you have seen my ad for my Sadowsky Will Lee 5 as well (it's probably sold, so that's nice), but I'm not only selling basses. I'm also putting studio equipment and jewelry for sale, although not on this site of course) to try to help in any way that I can. I'll probably also cancel a custom order from another builder. Health and family before basses and materialistic stuff as I'm sure you understand. The bass itself plays wonderfully. 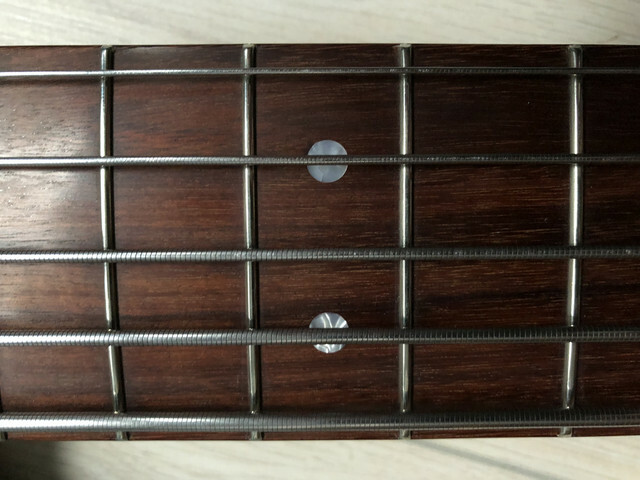 The sugar maple neck feels very 'warm', cosy and natural to hold in your hand, while the hybrid fingerboard wood -to me- is similar to amazon rosewood in feel and tone. 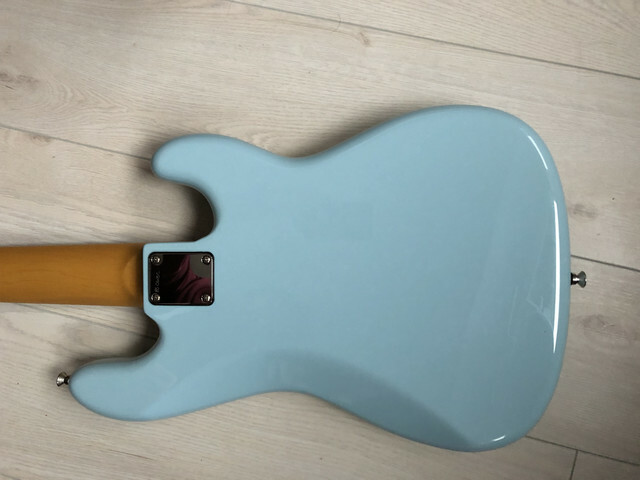 Jimmy's quite the reference for vintage tones with modern builds, and this bass is no different. I also requested a light weight because I actually have some sort of injury (my back isn't as good as it once was, but I can still play lightweight basses for an extended period of time, so that's not the reason I'm selling, the reason you can find in the first paragraph). This bass weighs around 8.5 lbs, so it's a breeze to play. If anyone's seriously interested, I can pick her out of her case and record something. I'll also consider trades + cash with basses that would be fairly easy to sell. Musicfreak sorry to hear of the misfortune in your family i hope everything turns out well in the longrun . Best of luck moving forward for you and your family . Hope it all turns out well for you man! 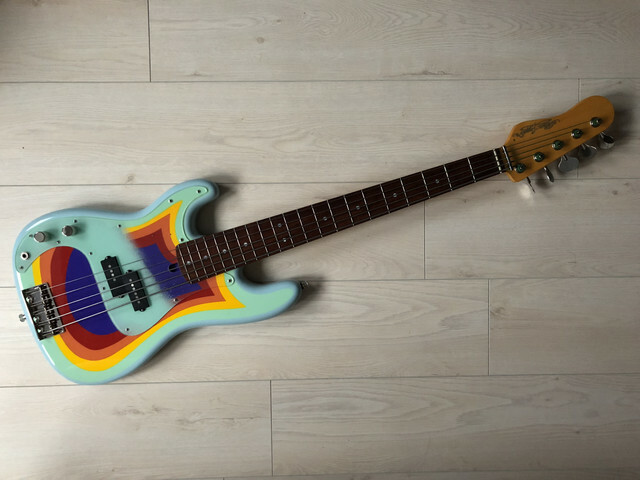 And good luck selling, it’s a killer looking bass! Really sorry to hear about your struggles, musicfreak. Hoping for better days for you ahead. Love it! One of a kind. Now open for trades (only basses I can flip quite easy myself). 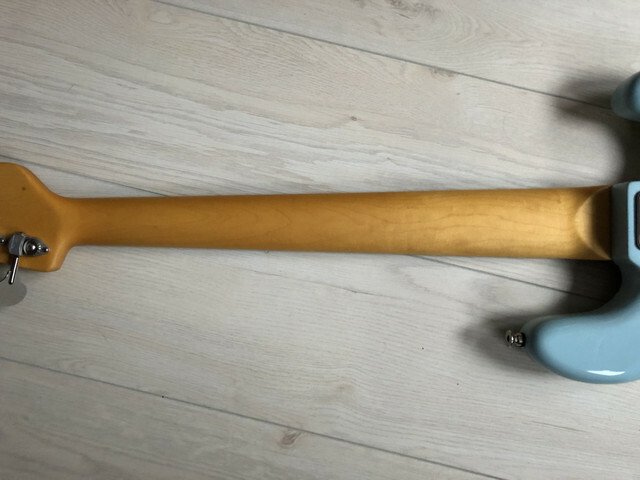 Oh, if you've got a lightweight (8-9 lbs) Stingray 4 + cash or Sadowsky jazz 4 (+ cash depending on specs) you want to throw in, I'm open for that. Up. All offers will be considered.